Food, Clothing and Shelter are the three basic necessities of every person. But there are some unprivileged people for whom there is a fourth necessity beyond this, which is more important and most essential for them to get the other three and i.e. Identity. In India we have various certificates, documents which help us identify ourselves to the world, the list includes passport, PAN card, ration/PDS card, voter identity card, driving license, government photo ID card, NREGS job card, photo ID issued by a recognized educational institution, arms license, photo bank ATM card, photo credit card, pensioner photo card, freedom-fighter photo card, kisan photo passbook, CGHS/ex-servicemen contributory health scheme card, and a certificate of identity with a photo issued by a Group-A gazetted officer on his letterhead. From opening a bank account to buying tickets, to enter the work place, to travel on holiday, to buy a house and so on…the one fundamental requirement is your identity proof and you have a hell lot of options above to choose from. Imagine one day you get up to a question ‘WHO AM I’? Just a thought of it sends shivers down the spine. Then there are these people who live with everyday, they have been void of any identify from their very existence and they have been branded criminals right in their mother’s womb, this is the community of the nomads. 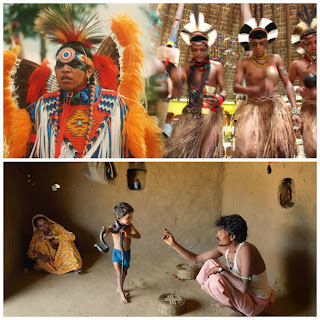 The Nomadic Tribes and De-notified Tribes consist of about 60 million in India, 315 Nomadic Tribes and 198 De-notified Tribes. The large section of these tribes is known as ‘vimukta jatis’ or ‘ex-criminal castes’ because they were branded as criminals by birth under the act Criminal Tribes Act 1871, enacted by British rule in India as Criminal Tribes and "addicted to the systematic commission of non-bailable offences. Once a tribe became "notified" as criminal, all its members were required to register with the local magistrate, failing which they would be charged with a crime under the Indian Penal Code. At the time of Indian independence in 1947, there were thirteen million people in 127 communities who faced constant surveillance, search and arrest without warrant if any member of the group was found outside the prescribed area. 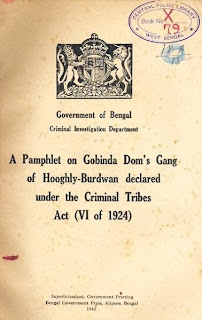 After independence of India, this act was repealed by Government of India in August 1949 and former "criminal tribes" were de-notified 1952. This act, however, was replaced by a series of Habitual Offenders Acts that asked police to investigate a suspect’s criminal tendencies and whether his occupation is "conducive to settled way of life." The de-notified tribes were reclassified as habitual offenders in 1959 and in 1961 state governments started releasing lists of such tribes. The nomads have roamed the subcontinent for hundreds, sometimes thousands of years. The Gadulia Lohar (their name comes from the Hindi words for "cart," gaadi, and "blacksmith," lohar) are among the best known; others are herders, such as the Rabari, famous throughout western India for their bulky turbans and familiarity with all things camel. Some are hunters and plant gatherers. 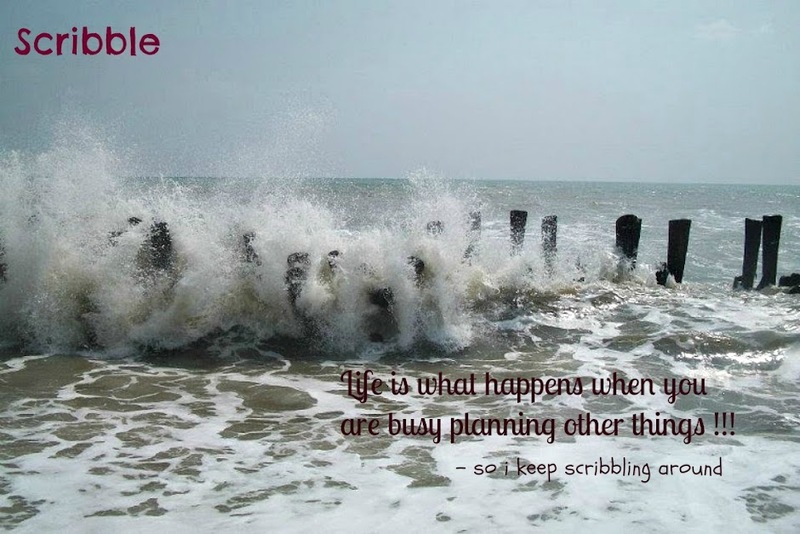 Some are service providers—salt traders, fortune-tellers, conjurers, ayurvedic healers. 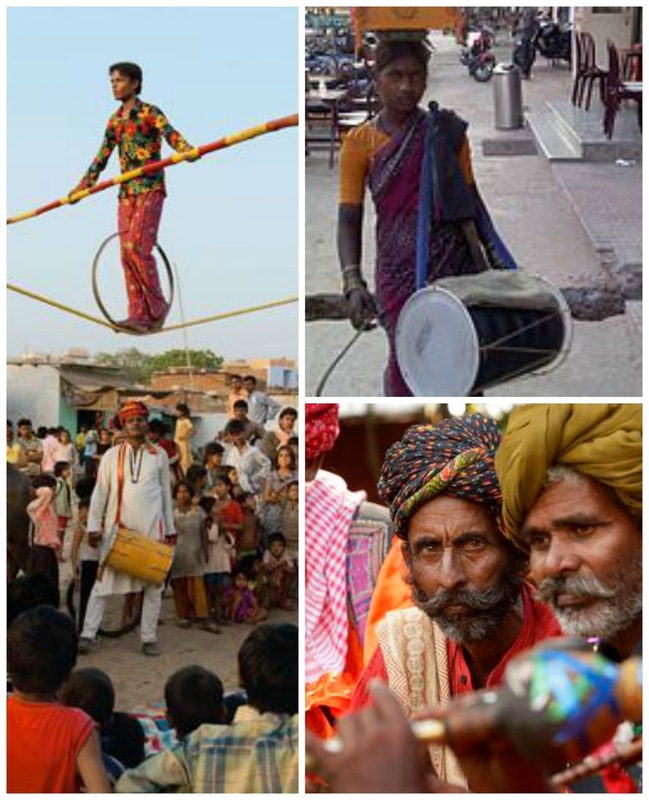 And some are jugglers, acrobats, grindstone makers, story­tellers, snake charmers, animal doctors, tattooists, basket makers. Anthropologists have identified about 500 nomadic groups in India, numbering perhaps 80 million people—around 7 percent of the country's billion-plus population. These wanderers were once part of India's mainstream. They meshed comfortably with the villagers who lived along their annual migration routes. In earlier times, all established communities used to wait for nomadic tribes to get things done as per their skills ranging from construction to entertainment. In their illustrious past the Gadulia Lohar forged armor for Hindu kings. Today these blacksmiths pitch camp on the outskirts of tiny Indian villages and make simple goods from metal scrap. Nothing in principle has been done for this community as such. There has been no substantial effort by any government towards their welfare and upliftment. They have been neglected by people and political class across ideologies and parties. They have never been allowed or there has never been any effort made to make them part of the main stream society. Fragmented by caste, language, and region, the nomads are ignored by politicians and, in contrast to other downtrodden groups, have reaped few benefits from social welfare schemes. Social and Economic backwardness and no common identification. Stigma of criminality attached with them, extreme poverty, ignorance of the world outsides, early age marriage, homeless and migratory life, illiteracy, superstitions, unemployment, lack of unity and political leadership. No permanent occupation, roof and address. No schools for their kids and no welfare schemes. Spineless government, lack of intent, misplaced priorities, vote bank & politics of caste and religion. Efforts of a lonely few provide them with roofs over their heads, or at least an address, which would make it easier for them to get welfare benefits and enroll their kids in school have met fierce resistance from villagers and local politicians, who see the roamers as smutty outsiders. The rapidly modernizing India of corporate moguls, call centers and brand-obsessed youth and above all the spineless governments have shown scant regards for them and today one has scarce no use for tinkers or bear trainers, and pastoralists are in a losing battle with industry and urban sprawl. India's nomads are united by a history of poverty and exclusion that continues to this day and arguably the biggest human rights crisis you've never heard of. So do the nomads have to stop being who they are in order to survive, to be accepted, to make a living in their own country? There is a sea change required for the overall socio- economic and cultural development of the Nomads. With a dedicated ministry (Ministry of Social Justice and Empowerment) already in place the implementation of welfare schemes and an intention to meet them to their logical conclusion. Planning Commission should have a special mention and funds be allocated towards the upliftment of this community in the future 5 year plans. The most important aspect of the planning, execution and implementing any welfare is to first provide the nomads a roof on their heads, which is one of the most fundamental requirements of a human being. There has to be a facility built in every locality and villages where the grown-ups are given free education and counseling in respect of educating their children and avoiding early marriages. Their kids to be imparted with primary education at all the municipal schools across the country for free. Provide them with Birth Certificates, help them open bank accounts with minimal or no documentation, start land allotments and repeal the Habitual Offenders Act with immediate effect. Organize camps for registration for Voter ID, Adhar Cards, and Ration Cards on war footing. The mandate of Unique Identification Authority of India (UIDAI) is “to issue every resident a unique identification number linked to the resident’s demographic and biometric information, which they can use to identify themselves anywhere in India, and to access a host of benefits and services”. The meaning of resident is “one who resides in a particular place permanently or for an extended period”. Which means for all those residents of India, who do not have a permanent residence, are not the residents and, therefore, they may never be able to get any of the identity, or Aadhaar card. The UIDAI should take up the case of the country’s nomadic and denotified tribes and provide them with Aadhaar cards immediately. Set up Free-Help & First-Aid Centers, appoint protection of Civil Rights Officers, Beggars Rehabilitation, Verification of caste certificates and ashram school and craft training particularly for women in all nomadic localities. This people as they are wanderers never figure in the beneficial lists of the politicians, it’s their lack of intent, misplaced priorities and flawed policies that have deprived our own brother citizens their fundamental right in their own country. So it’s about time we take measures in our own hands and follow the heritage that our great souls have given us. Here’s one Indian who has made these teachings the motto of her life and has become an inspiration to a generation of Indians – “Mittal Patel”. She has formed an organisation called Vicharta Samudaya Samarthan Manch (VSSM). Through her organisation she has worked tirelessly since 2006 for this people to get their fundamental rights. VSSM aims to help mainstream these communities by enabling them to fight for their rights. She has been instrumental in getting kids mainstreamed and helping 30,000 people to get their addresses and providing access to Vote ID Cards, Houses, Residential Plots, Ration Cards, Bank Accounts and various government welfare schemes. VSSM runs 26 alternate schools in 9 Districts of Gujarat State currently 22000 families are connected with them. They have 1040 students enrolled and out of which 1000 students are mainstreamed. A very good article..the way you put things in a categorical manner is very good...the italicised words are nice..dont think that moksha is some where in after world..it is here itself..nice..
and yes the karma has to be faced here...there is nothing to be faced in the after life. Well written and researched Karan. Needless to add, a lovely read all together.